AGRO-VETERINARY NIGERIA : Agribusiness, Agriculture,Cassava Flakes And Veterinary Medicine. : Agribusiness: Agricollege makes money from yoghurt. Agribusiness: Agricollege makes money from yoghurt. Agribusiness: Agri-college makes money from yoghurt. 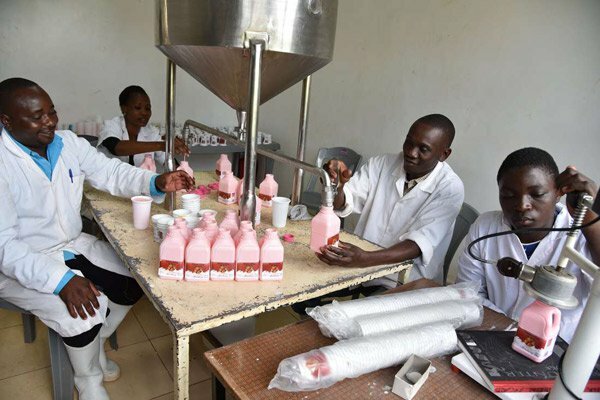 Bukura college starts to produce its own milk products after years of focusing on training only. The college has set up a milk processing plant to make yoghurt, mala and pasteurised milk as it seeks to turn around its fortunes and train all-round agri-entrepreneurs.